It's All New, We Hope You Love it Too! So here we are, 7-2-14, and the new Seventh Wave website and labelling is now officially live. We are so excited, we hope you love it as much as we do! 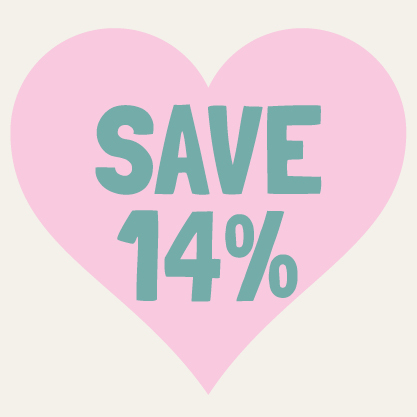 To celebrate, you can use the code FEB14 and save 14% this month. Use now for the biggest saving because we have a small price increase on a few items on the 15th February, details below. It's very fitting to launch this wonderful refresh of the site in 2014 - our seventh year. We can't wait for even greater HEALTHY SUCCESS... doing well, whilst we do good, helping people experience better health. So make sure you use your code, and FEEL FANTASTIC THIS FEBRUARY! You may see a mix of new and old labels over the next week or so. **One use per retail customer. Saver packs and multibuys excluded. Was it a coinicidence that other companies, and even one high street chain started popping up with very similar cute and quirky styles? We will let you ponder that! But it is true to say we always innovate whilst others imitate! Our next stage was new labelling. This needed some time. Our wonderfully talented design agency N9 put a few options in front of us. There were many remote meetings, lots of calls and some furrowed brows. It was good, and so very close, but we were looking for a real wow factor. For us to take the UK's only own brand 100% natural and additive free supplements company to the mainstream, it had to be as good as it gets! And then, with a bit of design magic, they brought everything together. It was an amazing moment when we finally saw everything transformed across all elements from labelling to the website. What N9 Design have created for us and for you, is a wonderful combination of our original vision, our company values, the original labels designed by packaging specialists Bryt, and the 2012 website. Then we added a warm wave and a refresh of what we achieved in 2012, and it's nothing short of the absolute best it can be. We think it captures the happy, passionate, energetic spirit of what we are all about. Contemporary, modern and so very friendly. It wraps you up in warm web waves and a good feeling. We genuinely think it's the lovliest, friendliest, healthiest design we have ever seen in our industry, we hope you like it too. Please do enjoy it, and let us know what you think? Thank you to the entire team at N9, we think you're the best, and we know our customers will too! And now its back to delivering quality supplements, fantastic nutritional advice, and helping you, our customer achieve even better health naturally. These are all due too changes in raw material costs from suppliers, some of which we have been absorbing for most of 2013. The UK's additive free range still offers incredible value for money. Do remember to use your discount code FEB14 before the 14th February for the maximum saving.